Learning Dutch for kids tips! So, you’ve moved to The Netherlands and you could be here for a long time. You’re learning Dutch, but what about your kids? The way children learn is very different to adults. Your lessons aren’t really going to help them. That’s why we have developed Dutch For Kids. It’s great for helping avoid misunderstandings and helping your kids feel like they belong here. WHAT IS YOUR NAME / WHO HATE YOU? At another school another ex-pat child is also experiencing difficulties. Since they have been in the Netherlands, Luke has picked up some Dutch from the other kids. He’s not always sure what he’s saying, but he knows how to use some words in their correct context. But one day everyone is very upset with Luke and neither he nor his dad really know why… turn sout some of the things Luke had picked up were not so nice. Not speaking Dutch himself, Luke’s father had no idea and was not able to stop or correct his son. The root of both problems lies in how children learn languages (and pretty much everything). Children are much better at unconscious learning. They are not as concerned with How or Why things work the way they do, but rather they acquire this understanding through observation, mimicry and experimentation. This means they sometimes hear things that are not there and also do not have the capacity to realise how important context is. And as an ex-apt, you’re going to struggle to help them with this. Children can unconsciously feel confused, isolated, depressed or upset about losing control of their ability to communicate. Some kids can even refuse to speak Dutch. How does your child manage with Dutch? 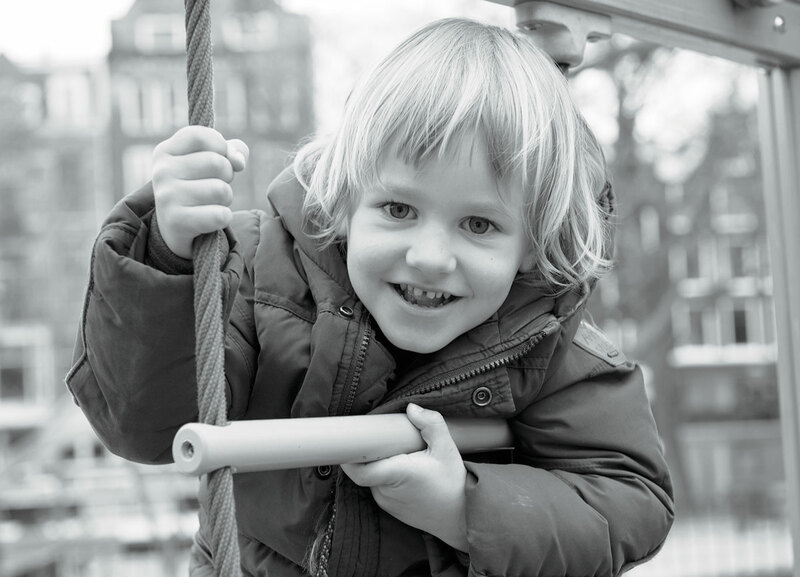 can your child use a helping hand in understanding and speaking Dutch? Wouldn’t it be great for your child to feel confident and happy and make Dutch vriendjes en vriendinnetjes? Flowently offers special ‘Sessions for Children’ and our specialised tutors have experience with kids from 3 up to 15 years old. For the small ones, our tutor will bring Aapje Jaapje (monkey Jacob) who can only speak and understand Dutch. Your child will learn Dutch in a playful way, but our tutors can also teach your child using online language programmes. All Flowently lessons are fully customised to the client’s needs and for these children’s sessions, a tutor can come to your house. Don’t want to fall behind your child and not understand them? (wil je niet achterblijven bij je kind) Learn how to speak with your child’s friends, their parents, teacher. Learn useful vocabulary and the ‘little magic phrases’ that will make a life-change in how you feel in the Netherlands. Flowently tutors can join you at the playground, school yard and other places where you need practical language for you and your child. Avoid getting to the point where you cannot understand your own child! I have worked as a tutor at Flowently for 1.5 years and I enjoy it a lot. I have worked with an American family in the centre of Amsterdam on a weekly basis since August. I help the oldest one, Mike, with his Dutch every week. When I met Mike for the first time, it was very difficult for him to understand Dutch which made it also very hard for him to understand his teacher at school. But Mike made progress after just two months. He speaks more Dutch and speaks it more fluently. His parents have also noticed that Mike is now more confident in Dutch. He even helps his parents with their Dutch now. Every week when I see Mike, I start with a conversation about his week. Sometimes he chooses a game and other times I bring a game which we can use to practice his Dutch. The way we practice is effective and it doesn’t really feel like teaching to me. Would you like your child to learn Dutch? Flowently offers a special course to learn Dutch for kids! Contact us for more information. WHY IS LEARNING DUTCH SO HARD?